Hooray, this one turned out much better than the last one I tried. Things are a little better aligned. Unfortunately I can’t seem to get a really good image of it – it looks better in person, believe me. 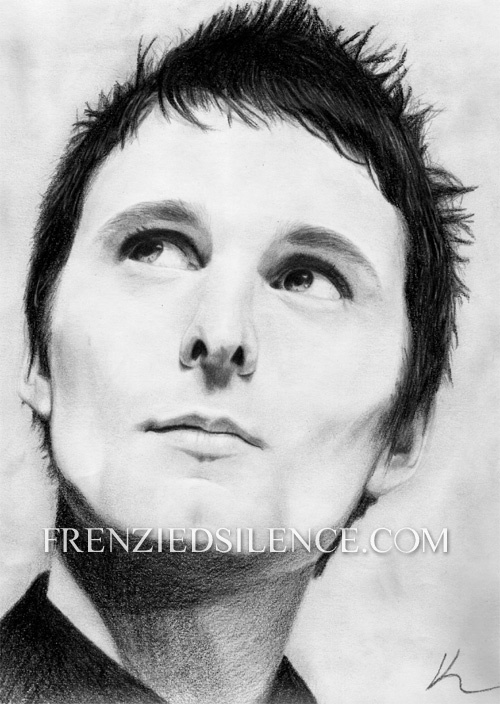 So, without further ado: Matt Bellamy in Graphite on 75lb paper. Posted 16 Apr 2009. Tagged Artwork | Matt Bellamy. Wow. You are ridiculously talented. This is absolutely amazing!